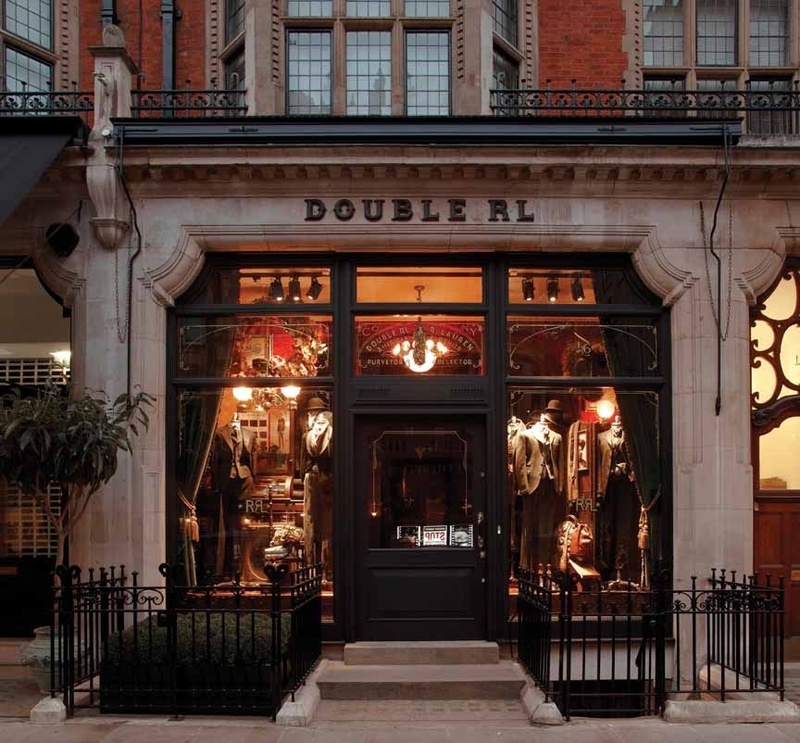 I paid a chance visit to the new Double RL store yesterday in London’s Mayfair. Situated on the super plush red-bricked Mount Street they’ve taken residence in a stunning space set over two floors. The concept is simple: White collar workers upstairs, blue collar downstairs. This is Ralph in his purest, strongest and most enjoyable guises. Refined suiting and outerwear inspired by classic English style and Hollywood’s golden age of gentlemen is what you can expect on the white collar floor – a side of RRL I love, but rarely see on sale in person. It’s perfectly pitched at the Mayfair crowd on a street that makes Bond Street look like Barnsley. Think Paisley silk ties, shawl collar smoking jackets, chalk pinstriped suiting with peaked lapels, and Harris tweed. The blue collar section features all the rugged classic denim range you’d expect from Ralph’s most coveted label. 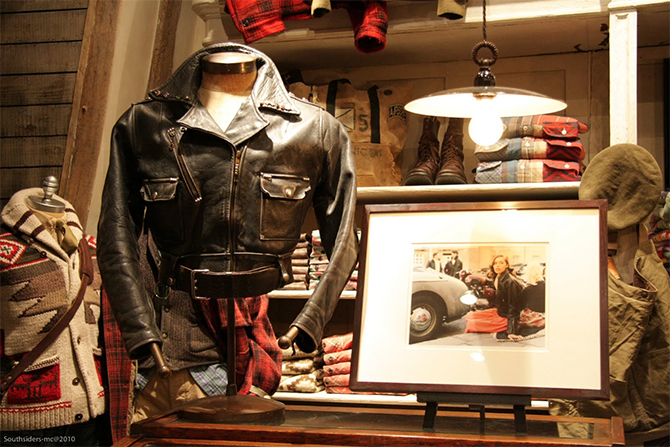 Expect to find top quality jerseys, beaten up denim, tough outerwear, Cordovan work boots, and rugged leather goods. It’s all here on these two floors of greatness. The styling is second to none. The story is well told with every detail considered. The staff are sound and well up on their Ralph. 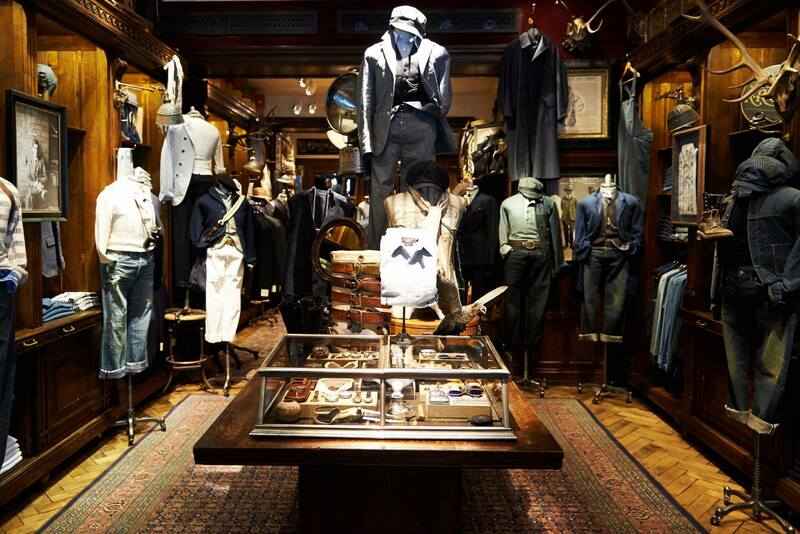 Folks, in this clothing obsessive’s humble opinion, this might just be the best menswear store in London (especially in the sale). You can check out some more shots and words about the store over at Loomstate. 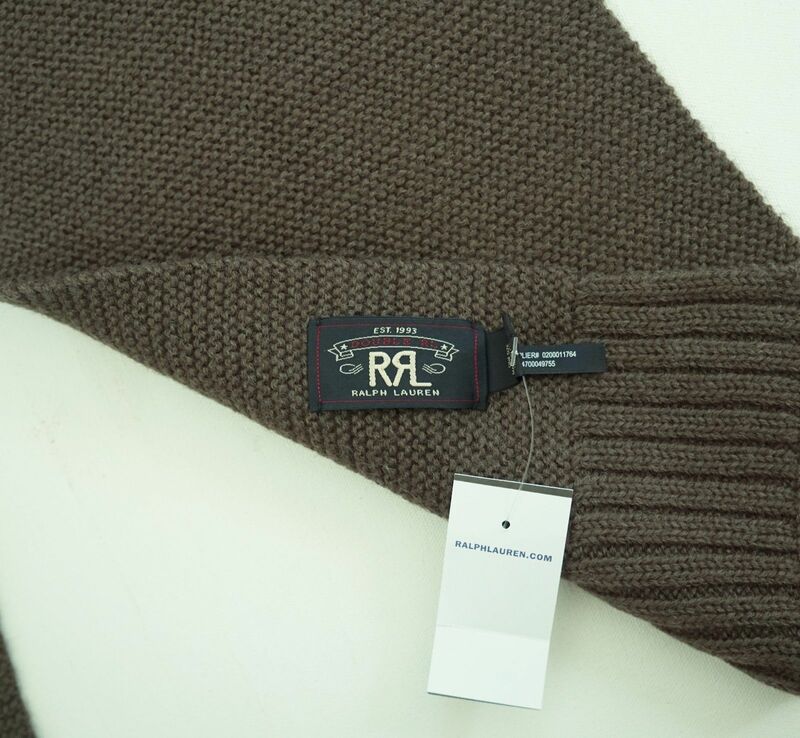 This entry was posted in Accessories, Clothing and tagged Engineered Garments, Nigel Cabourn, Ralph Lauren, RRL. Bookmark the permalink.